2 by 3 Heroes: And then there were six. Another day, another eBay. Technically, two eBay wins that I haven't shown. Total for these two cards: under a rack pack of 2013 Gypsy Queen. First is a card that was not on the project. It does fit into the criteria of a card released during his playing days, so I really should add all the Post releases. However, I made the executive decision that they would qualify only if I got a good deal. Two bucks. That's a good deal. Little stain from tape, but otherwise this card is in amazing shape. 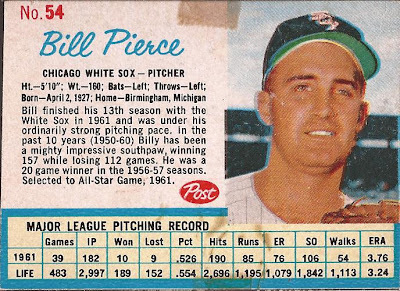 This 1959 All Star selection card proved to be a problem. I guess it's a high enough number card that finding this in decent shape at a reasonable price was a challenge. I could have easily scored a card that spent it's life in the spokes of a StingRay for a couple bucks. Otherwise, they were graded going for twenty plus. 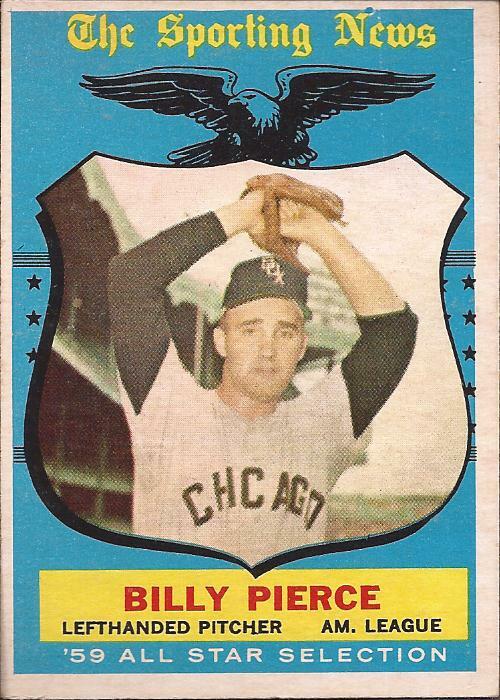 This card has amazing corners and just the centering issues - about $7 shipped. I have a line on the remaining cards. I may have this project complete before the All Star break. Those old Post cards sure are neat.